I have 4 dogs, 4 cats, and a goat. I love animals of all types. We donate to our local animal shelters (Longview, TX and Mount Pleasant, TX) and I hope you choose to do the same. There are so many animals there who need a loving home, animals that have lived terrible lives when they didn’t deserve it. You could give them a future that makes it all worthwhile. 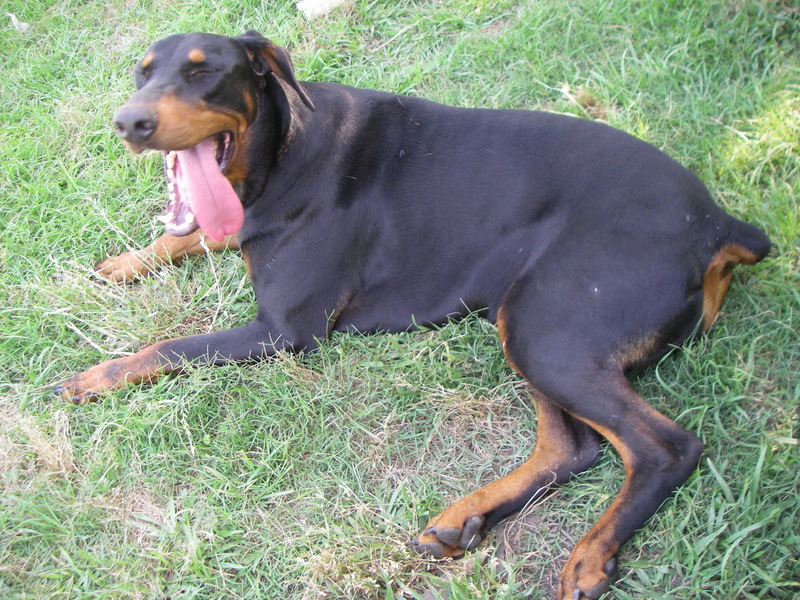 I lost my beloved Doberman, Seraph, at 1630 hours on February 16th of 2017. He died of sepsis, or an infection of the bloodstream, that didn’t respond to medication and antibiotics. He also suffered from an unknown neurological disorder that paralyzed his hind legs. He was at least 12 years old at that time (I don’t know how old specifically because I adopted him as an adult from the shelter and they didn’t know how old he was). Seraph had a funny story. I have a bad habit of going to shelters before work to pet the animals and give them what love I can before they’re put down. Anything to bring some happiness in their prison of a life in the shelter. Seraph was picked up as a stray when he was already an adult. A family adopted him to be the family pet, but when their four-year-old son was playing on the swing set near “Bowser” as they had named him, Seraph got excited and bit the boy. I was at the shelter playing with the animals before work when they walked Seraph in, and I knew I had to have him protecting my castle because he was a 116 pound Doberman and looked amazing. So I asked if he was up for adoption and the animal control officer explained he was going to be put down because he bit a kid and there was nothing they could do. Maybe it was my heartfelt plea, maybe it was because I was in my full city police uniform, but I begged them not to put him down and explained that he was a big dog and all dogs get rowdy when they play, and everyone said he didn’t even break the skin so he was only playing with the child. I didn’t have any kids for him to bite and never would since my mother sterilized me as a child through abuse (read my book, Under Crimson Rule, and you’ll understand how that story came to be). Whatever it was, it worked, and she allowed me to adopt Seraph that same day, saving him from the needle. This page is dedicated to my Seraph. He was a good boy and this man’s best friend.